Find Easter eggs and other anomalies! This is a Contract Pack that gives contracts to go search out the various Easter eggs that are included in KSP. There are 14 one-time contracts included in the pack of varying difficulty. There's some bonus new content that is only available as part of the mod. If you want to see it then you will need to finish both the Kerbin and Mun monolith contracts. CKAN: In CKAN, Select and download the mod "Contract Pack: Anomaly Surveyor"
ModuleManager is a required dependency and can be downloaded from the ModuleManager release thread. The Anomaly Surveyor Contract Pack can be downloaded from GitHub. SCANsat is an optional dependency and can be downloaded from the SCANsat release thread. Waypoint Manager is an optional (but highly recommended) dependency and can be downloaded from the Waypoint Manager release thread. It is recommended that you install Waypoint Manager, as there is one contract that involves touring the KSC, and it will be more difficult to hit the waypoints without it. If you use SCANsat, then the contracts will have an extra requirement before they show up - you must have done a multi-spectral scan of the area in question. To offset this, if you have SCANsat, the contract rewards are slightly better. Changed Moho orbit requirement to a flyby. Overhaul for new Mission Control in Contract Configurator 1.15.x. Increased distance tolerance for Mun arch contracts (thanks 5thHorseman). Fixed text for TMA-1 (thanks 5thHorseman). Bigger rework to monolith contracts. There is now one monolith to visit per contract, but not all monoliths need to be visited to progress the story. As the story progresses, unvisited monoliths remain available. Fixed waypoint on pyramid contract (thanks 5thHorseman). New contract for Moho anomaly. New contract for Tylo anomaly. Slight rework to monolith series of contracts. Changed text on pyramid contract. Affirmative action - Female Kerbals now get their own image for the final contract. Fixed compatibility issue caused by Contract Configurator 1.7.3 (thanks kardan). Added a bonus to the end of the final Monolith contract. Change all contracts to use the new dialog system for completion flavour text. Fixed Jool monoltih contract invisible parameters in Contract Window + (thanks 5thHorseman). Minor fixes to log warnings for Monolith spawn in Jool contract (thanks Enceos). Restored original behaviour of Mun monolith contract (both monoliths need to be visited instead of just one). Vall anomaly now requires a flyby instead of an orbit. Fixed location of Mun Monolith TMA-5 (thanks Yoggy). Convert agent icons to DDS. Increased reward for Kerbin monolith contract. Fix end-game monolith contract that was broken in KSP 1.0.4. Fix more typos (thanks Hellrespawn). Future proof Jool Monolith contract against changes upcoming in Contract Configurator 1.0.3. 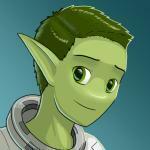 Jool Monolith fixes for KSP 1.0. Fixed text in Kerbin Monolith contract (thanks khearn). Increase Kerbin contract rewards (thanks mic_e). Minor fixes to various contract text. Improvements to Island Airfield and Pyramids to work in RSS rescaled Kerbin. Improved logic for selection of EVA Kerbal to prevent issues. Improved survivability (far less likely to crash into a planet and die). Added notes to Mun Monoliths (only available in Contract Configurator 0.7.1). Emergency recompile to make compatible with Contract Configurator 0.7.0. Fix contract rewards that weren't being correctly adjusted for presence of SCANsat. Minor fixes to waypoint locations (thanks Spheniscine). Integrate performance changes from Contract Configurator 0.6.6. Fixed location of Rock Arch #2 on the Mun (thanks Sonny_Jim). Balance pass for contract rewards. Use new parameter save/load exception handling model in Contract Configurator 0.6.2. Clean up titles and descriptions to reduce spoilers. Remove one of the underground monoliths from Kerbin (too boring to visit). Change to only need to visit one of the two Mun monoliths to trigger the Jool mission. 5thHorseman for the video featured on this page. He did an absolutely incredible job! Nicholander, who gave me permission to use his monolith part for the final Jool Monolith contract. this is really cool! gotta get Ckan back, uninstall my mods, and get this. it looks so cool! 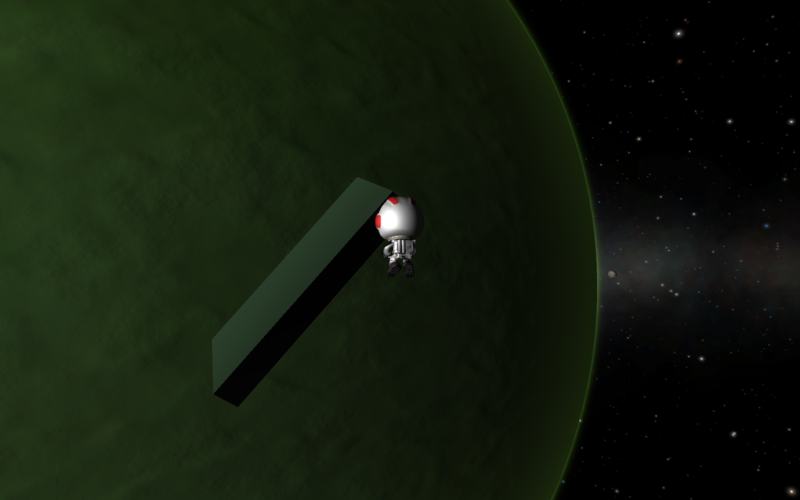 Wait, there's a monolith in orbit of Jool? Is that a stock easter egg? That one is most definitely not a stock easter egg - that's original content that you'll only see in this mod. Oh, and it'll only show up if you finish the Kerbin & Mun monolith contracts... think of it as a reward for visiting all those monoliths. ...is the Kerbal breathing in space another of those "bonus" Easter eggs, or did I miss something? You should follow the monolith contracts to their conclusion. And speaking of the Jool monolith contract - let me know what you guys think when you get to the end sequence. I spent way too much time fighting the Kraken on that one (and even a little bit of time fighting the Krakensbane too). Was almost ready to quit KSP modding - definitely was pushing the envelope on stuff that you can do in a mod. And we're up on CKAN! Big thanks to Hakan for finding the issue that was preventing this from going through. For the monolith part, is supposed to not have a model? I know it won't appear in the tech tree, but in sandbox mode it isn't appearing when I click on it in VAB! It's big.... much bigger than the VAB. If you click it once and then launch, you'll see it. oh... didn't think of that. Since I have to go soon, anyone want to post a pic? What, like this one from the first post? Yes, well one that's not really intended to be used - I did the best I could to disable it. As far as the size... the smallest side is two orange tanks wide. I had to do fun things with the load distance to not make it just magically appear when you're right on top of it (ie. 2 km away). If I remember correctly you can see it from about 100 km away if you have Jool as a backdrop. Is this intended for Kerbin? That's correct - there were a few contracts where having the SCANsat requirement just didn't make sense. Kerbals can be dense, but you'd think they would know about the airstrip across the water without having to launch a satellite to scan it. I thought my game was bugged when I didn't see a monolith from my plane! Thanks for this, I actually had a reason to visit the Island Airfield! I love this mod. I've been seriously considering remove those "monoliths" from the contract. You actually CAN see that one if you tilt the camera right - it really is underground. You actually CAN see that one if you tilt the camera right - it really is underground. I managed to glitch the camera underground, but I couldn't see it... this requires further investigation... I'm loving the exploration side of things! My only wish would be for the contract titles to not be so revealing. They give away a lot of the details of what you're going there to see (like, visit the face on Duna) and then it becomes another 'go to X, receive Y' kind of thing.. I mean, I know there's a face there and I know about Vallhenge etc, but I'd love for the titles to be more vague/enigmatic kind of thing. For the monoliths, is it possible to only say they're monoliths once you've visited one first, for example? But yeah, I have to stress, I love this set of contracts, and the messages you get when you complete them are cool. Excellently made, have some well-deserved rep (and beer money). Wow, rep (almost got that next tick! ), beer money *and* a good suggestion? What more can someone ask for?!? one of them is down a reallyÃ¢â‚¬â€¹ deep hole. New release out with some minor changes (mostly as discussed above). Download it now!